Talented new and expanding dairy farmers are worthy of support to keep them within the dairy farming industry and we recognise that without capital and business support it can be difficult to get businesses to a sustainable scale. 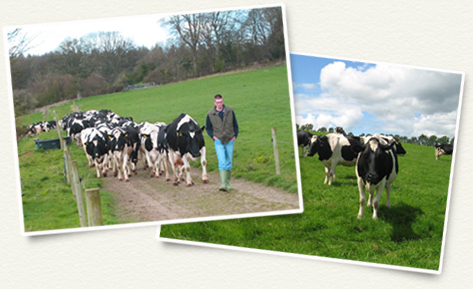 Dairy Futures offers help to suitably skilled individuals with a good business plan, as they go through a significant expansion of a dairy business or begin a new dairy enterprise in their own right. Dairy Futures is intended to support those whose initial scale does not allow their business to be sustainable. They can be tenant farmers, share farmers or farming under a contract farming agreement. It provides guidance from experienced farmer mentors, reviews of business plans, access to the most relevant training, arranging networking events and where necessary capital via its loan company, which is a wholly-owned subsidiary of the charity. The relief of financial hardship amongst non-land owning dairy farmers, in particular but not exclusively by the provision of information and advice on business planning, coaching and the establishment of a peer network. Dairy tenants who have been farming for less than six years are being offered help to plan for a profitable future by the charity Dairy Futures, with a free business appraisal. The financial year end for most businesses is an ideal time for this type of a review. It can quickly give the necessary information to make plans for the future based on the facts, without waiting months for annual accounts. “The last three years have proved to be a very difficult time for tenant farmers in the dairy sector and even more so for new entrants, who are still in the early stages of setting up their businesses,” says Dairy Futures chairman and tenant farmer David Homer.